Us tech giant, Microsoft, has unveils a new feature which allows you to send money on Skype using your PayPal accounts. Chat and video service Skype underwent through an entire design revamp in June for which it also faced criticism. 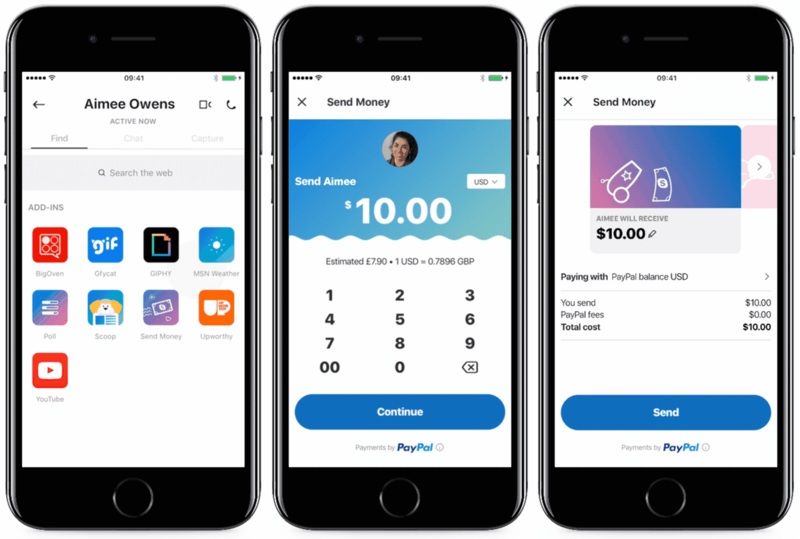 Microsoft introduced payment service in Skype via PayPal. Skype users will now be able to send money in chat across 22 countries initially. This feature is available on both Android and iOS platforms. In order to send money on Skype, users will need to tap Find or swipe right to open the listed add-ins. Among the add-ins, tap on Send Money and select the country you live in, followed by the country of the contact you want to send money. Enter the amount and hit Next and you will be asked to sign into PayPal account and link it with the Microsoft. Once you completed, tap Send to complete your transfer and return to the chat screen to check the status. In other side when someone sends you money in Skype, a Money Transfer card will show in the chat, click on it and you will be redirected to a secure payment website and tap on Collect to receive money in your account. The list of the countries where the feature is now available are the US, Canada, the UK, and the euro currency countries ( Austria, Belgium, Cyprus, Estonia, Spain, Finland, France, Germany, Greece, Ireland, Italy, Latvia, Luxembourg, Malta, Netherlands, Portugal, San Marino, Slovakia, Slovenia). Sender and receiver must be from one of the countries in which Send Money is supported.